Saint Andrew's United Church is a church in North Bay, Ontario. Founded in 1884 as a Presbyterian church in Mattawa, the present church building in downtown North Bay (at the corner of McIntyre, Cassells, and Algonquin Streets) was built in 1904. After the majority of the Presbyterian Church in Canada joined the Methodist and Congregational churches in union in 1925, Saint Andrew's became a United church. 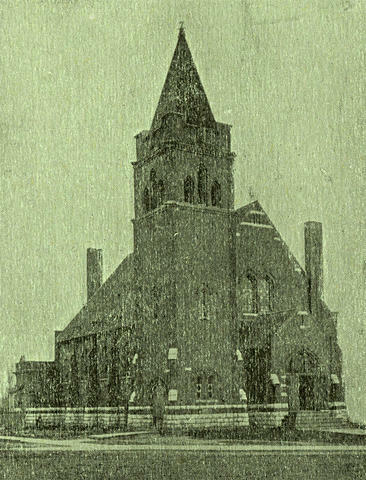 The image linked to this description is a photograph of Saint Andrew's Church from the cover of the "Fourty-fourth annual report - Year 1928" (Item 0244-10).